Saving for a new house, car or a college fund? Try these investment options to increase your buying power more quickly. You wouldn't necessarily know it from watching the ads on tv — but investing isn't just about retirement. Most of us have short-term goals as well — the down payment for a home or a new car, a dream wedding, a special vacation or your kids’ education. You can invest for those as well, just not in the same way. Although the stock market has, historically, proven to be a good home for long-term investments, there are other places you can invest if your time horizon is shorter. The rewards typically aren't as great. Then again, neither is the risk. After you pin down your goals, determining your time horizon is a “critical first step,” says Greg McBride, chief financial analyst at Bankrate.com. “That time horizon is going to dictate how conservative you need to be with the money or how much risk you’re able to take on in the pursuit of higher return.” If you’ll need the money you’re saving within five years, it’s often best to go with a lower-risk investment. And if you’re wondering why you shouldn’t just keep non-retirement money in your savings account? An emergency fund (ideally three to six months of expenses) is important to have on hand — liquid and ready to go at any time — and your savings account is a great place for that. But when it comes to money you aim to put towards your goals, inflation is one of the biggest reasons to consider investing your cash. Savings account interest rates at big banks have been hovering around 0.09 percent (that's right 1/10th of 1 percent). Inflation — when the purchasing power of your money falls as prices for goods and services rise — is usually around 2 to 3 percent per year. That means that the value of your money is still decreasing over time. “Over longer periods of time, inflation is going to eat away at your buying power, so at the very least, you need to invest in a way that preserves that buying power,” says McBride. That doesn't mean you're out of options. 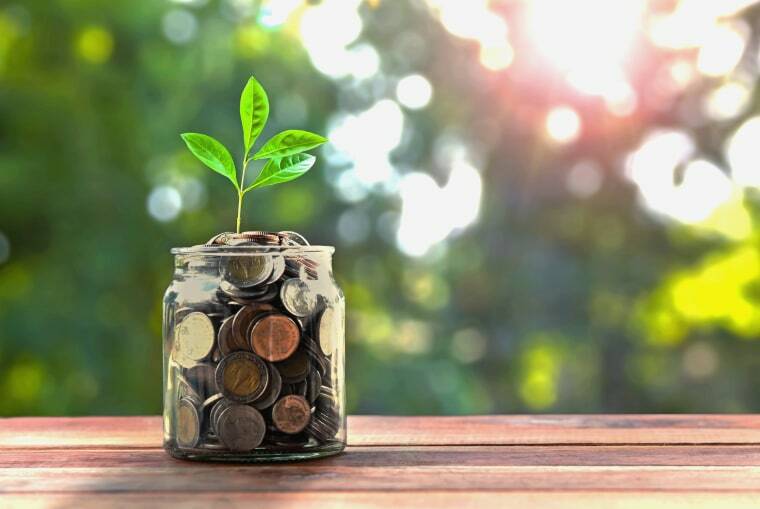 “[Even if you're] very conservative [you] can still get more growth than a savings account and should be able to beat inflation,” says Eric Anderson, first vice president and financial advisor at RBC Wealth Management. Finally, you may want to take a look at high interest rate checking accounts. No, they're not typical savings vehicles. But some of them pay significantly more. High yield checking accounts have account minimums, not maximums, because they don't want to pay these high interest rates on unlimited sums. They typically require you to pay one bill automatically out of the account or receive one payment by direct deposit into it — and they require you to use your debit card for purchase at least 10 times each month. (They make their money on swipe fees.) Right now, for example, Blue Credit Union is paying 4% on balances of up to $15,000. Keep close to that in the account for a year and you've netted $600. Magnify Money and Bankrate both maintain lists of some of the best paying high yield checking accounts; be sure to check them both, they have different listings.